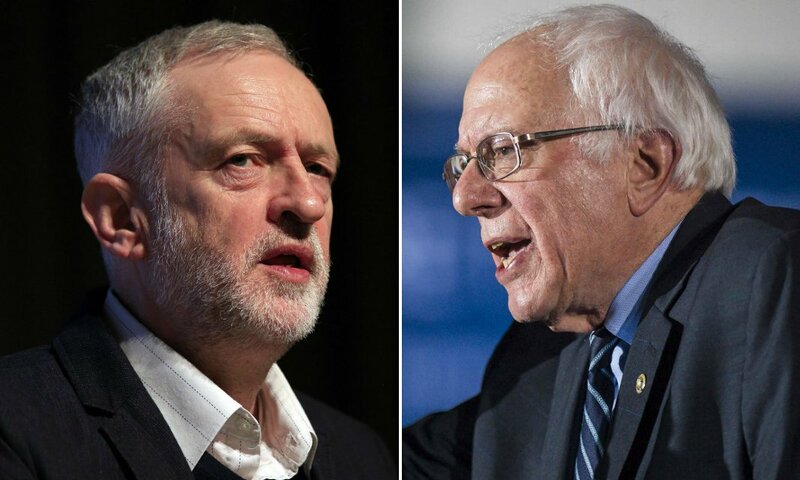 There is one key difference between them: Sanders is serious about how government works, and Corbyn isn't. To unpack this statement a little: Corbyn's record is that of an eternal protester. In his thirty-two years in Parliament before becoming Labour leader, he was associated with no significant initiatives in domestic policy. He did not form close working relationships with his parliamentary colleagues. Instead, he devoted the bulk of his time and energy to foreign affairs and defence. This included a long and close association with the Stop the War Coalition, a group so extreme that they have been disowned by the Green MP Caroline Lucas. There is much to criticise in Corbyn's lengthy record of anti-war activism, and also things to be praised. I'm not inclined to pick apart the details here. Issues of war and peace are important, but they are also irrelevant to the vast majority of what the state does. I am a strong believer in the capacity of collective action to make our lives better. When government achieves something useful, it does not arise solely from the power of good intentions. It requires understanding of complex issues, negotiation and compromise between competing interest groups. This is something Corbyn appears to have neither the knowledge nor the patience to do effectively. Sanders' record is much more positive. He began his political career with eight years as mayor of Burlington, a city of 40,000 people. He was an executive responsible for solving everyday problems of road maintenance, schools and urban planning. It is also notable that he won elected office, and has kept it for thirty-six years, as an independent without the support of a party machine. As a Representative and later Senator for Vermont, Sanders has a long record of working constructively with other legislators. He is currently the ranking minority member of the Senate Budget Committee, which scrutinises the details of government expenditure. It's not terribly glamorous, and it could hardly be further away from Corbyn's anti-war grandstanding, but it does much to affect people's lives. Sanders has a stance on foreign policy, one considerably more nuanced than Corbyn's, but it has not been front and centre in his campaign. This is all the more remarkable, since emphasising foreign policy might help him with Democratic primary voters. Hillary Clinton voted for the Iraq War as a Senator in 2002; and as Secretary of State and afterwards, she has signalled a hawkish approach to foreign policy, going so far as to praise the notoriously ruthless Henry Kissinger. She is vulnerable on this front, but Sanders has preferred to concentrate on his own narrative. One thing Sanders and Corbyn have in common is, they appear to genuinely mean what they say. As far as I can tell, Sanders does not think foreign affairs are central to his story. His message is that he will fight for better conditions for the ordinary, struggling voter. Corbyn's, as I've recently noted, is "give peace a chance." I suspect the former message will be much more effective in the long run. Sanders remains the underdog for the Democratic nomination; but he is much better prepared to gain power, and to make constructive use of it.